Finally! 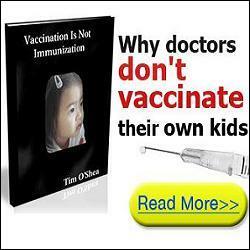 After all these years of denial and damage, the truth about ethylmercury in the form of Thimerosal (49.6%) in vaccines has been revealed to a member of the U.S. Congress as a result of oversight requests that were sent to the U.S. Centers for Disease Prevention and Control (CDC) and shared with one of the foremost research groups regarding mercury in drugs, CoMeD, whose website is www.mercury-freedrugs.com. What are the dates of the Thomas M. Verstraeten, R. Davies, D. Gu, F DeStefano study? Between 1991 and 1997 over 400,000 infants were assessed! That’s a very long time ago, and if the truth would have been told and the situation rectified instead of what came out of the Simpsonwood Meeting in June 2000, mercury would have been taken out of ALL vaccines and millions of children would not be in the catastrophic situations they and their families find themselves today: Autism (ASD), ADD, ADHD, and probable chronic diseases that now are plaguing younger generations, especially neurological disadvantages. To make certain no part of File 10 25 of 334 gets lost to posterity, the media, or expunged from the Internet, here is the rest of what was submitted. Read it, and you may get furious! Methods: We categorized the cumulative ethylmercury exposure from thimerosal containing vaccines after one month of Life and assessed the subsequent risk of degenerative and developmental neurologic disorders and renal disorders before the age of six. We applied proportional hazard models adjusting for HMO, year of birth, and gender, excluding premature babies. Results: We identified 286 children with degenerative and 3702 with developmental disorders, and 310 with renal disorders. The relative risk (RR) of developing a neurologic development disorder was 1.8 ( 95% confidence intervals [CI] ::: 1.1-2.8) when comparing the highest exposure group at 1 month of age (cumulative dose> 25 ug) to the unexposed group. There is absolute confirmation of the following health anomalies that have been plaguing U.S. and global population children’s health before the age of six, now and for the last two decades. 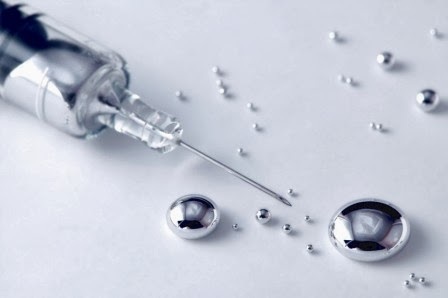 The unfortunate truth finally has been revealed that the U.S. CDC and others knew about mercury in vaccines causing Autism back in 1999 and have been misleading us scientifically ever since! It does not get any more criminal than that: conspiracy! And, that’s not on the part of ‘conspiracy theorists’ either; it’s on the non-deniable, self-stated, admission of a U.S. government health agency, the CDC. Sadly, the same is still going on regarding vaccines. Currently, it’s repugnant, and no one is doing anything responsible to rectify it. Furthermore, on October 29, 2013 the U.S. president had to admit that the “White House” knew way back when that millions of people who had healthcare insurance would lose it under ObamaCare (but lied). Millions of cancellation notices are going out to previously insured individuals. What’s that all about: insurance one day; none the next; all due to a falsely promoted healthcare plan! Congress, WAKE up! When I studied law, false misrepresentation and bait-and-switch tactics were illegal and prosecutable offenses. 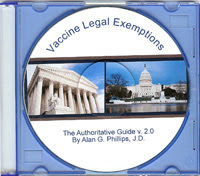 It is my honest opinion that all those who conspired and lied about mercury in vaccines, plus the current healthcare fiasco that has devastated the nation and its children with vaccines, must be prosecuted, removed from office – no matter who is involved and how high up it goes – and made to pay the penalties proscribed at law: jail time, fines, or both!